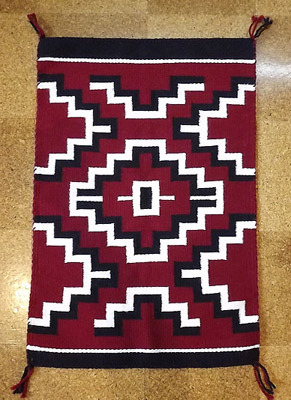 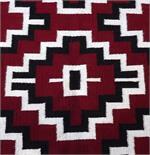 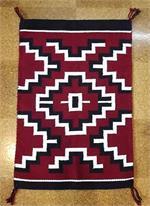 Navajo weaver Karen Watson has created this beautiful revival rug. 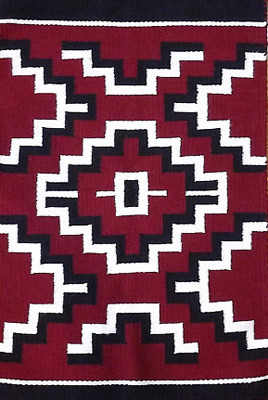 Revival rugs typically feature bands of repeating geometric motifs alternated with plain or striped bands of contrasting colors. 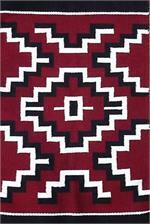 The pattern in this rug weaving is a version of a revival blanket style and is dominated by a 'Germantown' red. 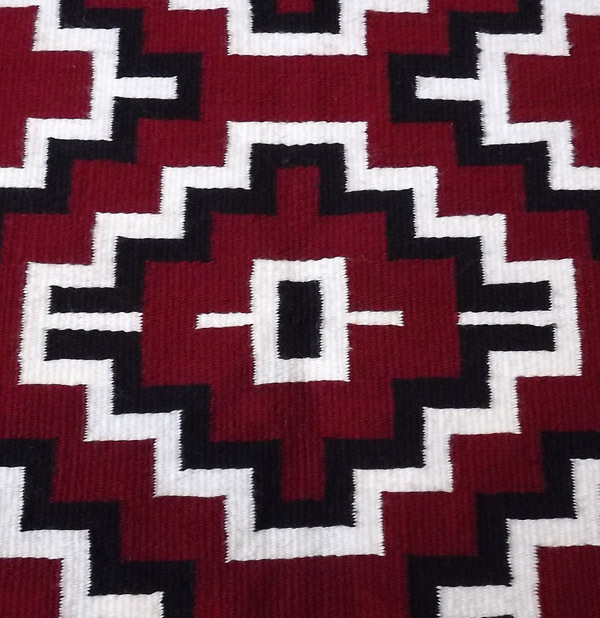 Germantown is referencing the town in Pennsylvania where, in the late 1800's, many commercial yarns were produced, and and sold, offering weavers three and four ply yarns and an array of colors created with commercial dyes.